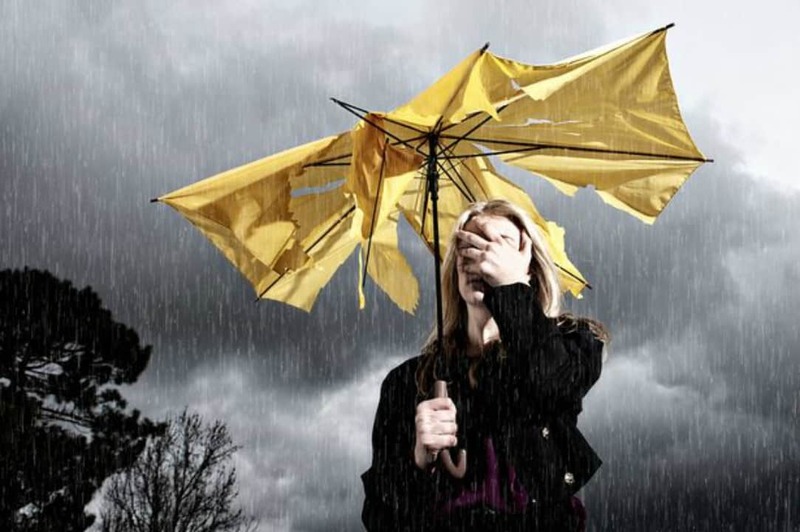 Migraines and Headaches: Are weather changes the cause? In May 2012, a woman walked into my office. Her face was tight, and she had a permanently pained expression. She had been referred to me by one of our Naturopathic Doctors, who had not been able to help her. This particular ND had a habit of sending me her tough cases and this on first glance this looked very tricky. The women suffered from headaches and migraines. One headache had been with her permanently for 18 months! Having treated many people for headaches and migraines, I knew that the usual triggers were from foods and the environment, in particular from weather conditions. Studies have a shown links between migraines and different weather conditions including lower temperatures, higher humidity, changes in temperature, and barometric changes. To help me unravel people’s health issues I use Applied Kinesiology (AK) or muscle testing. AK is often ridiculed by commentators on the internet, but it has been key to me helping 1000’s of patients since 1997. From my initial testing, I identified the trigger for her headaches and migraines were due to sensitivities. I then tested her using my sensitivity test kit for different food, environmental and atmospheric (weather) sensitivities. Once identified, I began treatment for the sensitivities using a system of acupressure that I adapted from an allergy treatment called NAET. The initial treatments were for the food sensitivities. After the completion of the foods, the client said she felt I was helping her, but a permanent headache remained. On the fourth session, I treated the weather triggers that included hot, precipitation, condensation, positively charged air, electrical storms and low pressure. Two months passed without the client returning for another follow-up, so I was considering contacting her to see how she was doing. That same week I noticed she had booked an appointment for the following week. When the meeting came, and I walked out to the waiting room to greet her, I could see there was something different about her. Her pained expression had gone, her eyes were brighter, and she had a lighter air about her. Since her last treatment her permanent headache, she had for 18 months, had gone. She had suffered from a couple of migraines which she managed with medication, but she felt those were triggered by changes in the weather. True enough when I tested her she reacted to changes in barometric pressure and temperature. She also mentioned that for the first time in her life she did not respond to electrical storms. On her last visit, she reported she was a migraine and headache free since the last treatment. Ottawa is a city that experiences massive changes in weather over very short periods of time and during my four years here I have treated many clients that react to these. I did find one study that was carried out in Ottawa, which looked at weather triggers and headaches that strangely could not find any correlation. For this client, it was the primary contributing factor. If you are pregnant and suffer from lower back pain, you are not alone. It has been approximated that about fifty percent of pregnant women will experience some low back pain at some point during or shortly pregnancy(1). This blog outlines the symptoms, possible causes including iron deficiency and the treatment options. Pregnancy lower back pain usually occurs around your sacral iliac joints at the base of your back. The pain can be both achy and sharp in nature. It is worse on sitting and standing along time and is relieved by walking. The pain usually comes in the third trimester or during the last three months of pregnancy. There are many different reasons why lower back pain occurs in pregnancy. Here are some of the most causes. Weight gain during pregnancy caused by the growing fetus can pressure on spinal nerves. Postural changes during pregnancy can affect the position of the pelvis and spine. Hormonal changes during the third trimester of gestation cause loosening of ligaments in the pelvis and lower back. Muscle separation of the abdominal muscles during pregnancy can worsen lower back pain. Emotional stress experienced during pregnancy can cause lower back pain. Iron deficiency is the most common nutrient deficiency in gestation. Iron deficiency causes a reduction of oxygen travelling to the tissues including the muscles. A reduction of oxygen will cause muscles to fatigue quickly resulting in pain. This is why lower back pain caused by iron deficiency worsens on sitting and standing a long time. If you are pregnant and suffer from lower back pain and suspect that low iron may be the reason, then the first step is to ask your doctor to test your blood test. The standard blood marker used to measure iron is ferritin. Ferritin is a measure of the total amount of iron in the blood. Another, useful measure, is iron saturation. Iron saturation measures the amount of iron that is absorbed into the cells. This marker is helpful if ferritin levels appear healthy but you still suspect that iron deficiency anaemia is the issue. If your blood results indicate low iron, then supplementation is a quick and efficient first step to help improve symptoms. Some iron supplements can cause constipation especially those prescribed by doctors. I suggest you look for iron glycinate a form that I have found not to cause this problem. If you do not like taking capsules, then a liquid iron supplement such as Floradix is also good.